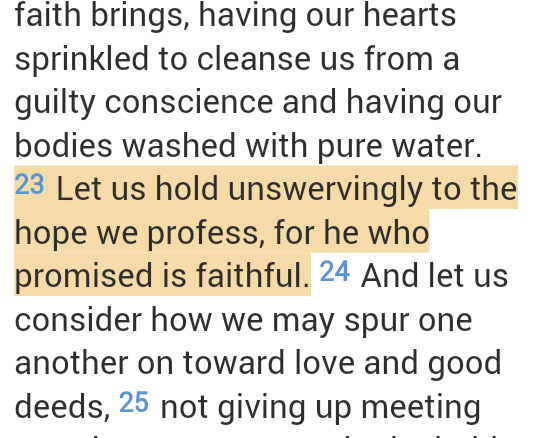 God’s faithfulness does not mean that we will receive the promises he has made us within our lifetime. We have to keep believing while we wait, even if it seems like it’s too late. 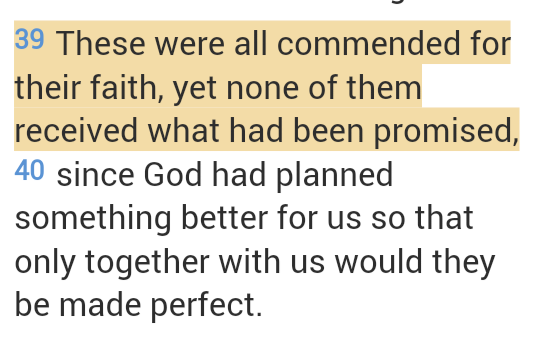 And somehow my life now is part of the fulfilment of God’s promises to some of the saints from long ago. This is interesting. I’m not sure how it relates to solid food/in depth teaching (or rather, it seems to me that eating solid food is what equips you to distinguish good from evil – this seems a slightly circular argument), but I’m interested in the idea that we have to train ourselves to distinguish good from evil. We tend to think we know right from wrong instinctively, and there certainly are cases where things are obviously just wrong. The moral shifts in our culture over the past decades, however – and the different responses of churches to those shifts – illustrate that this is still something we need to work at. The perceptions of those around us about what is right and what is wrong change all the time. 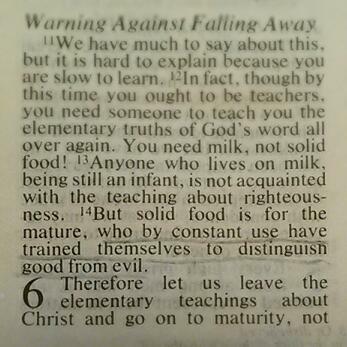 Mature Christians need to be well-served by the teachers in their churches, and need to study the scriptures for themselves to be able to learn to discern good from evil in a world that will often argue vehemently that black is white.